This benches and coffee table set features two curved benches and an unusual peanut-shaped coffee table. Create an interesting and contemporary focal point that is sure to get your guests talking as you enjoy a cuppa together on temperate afternoons. 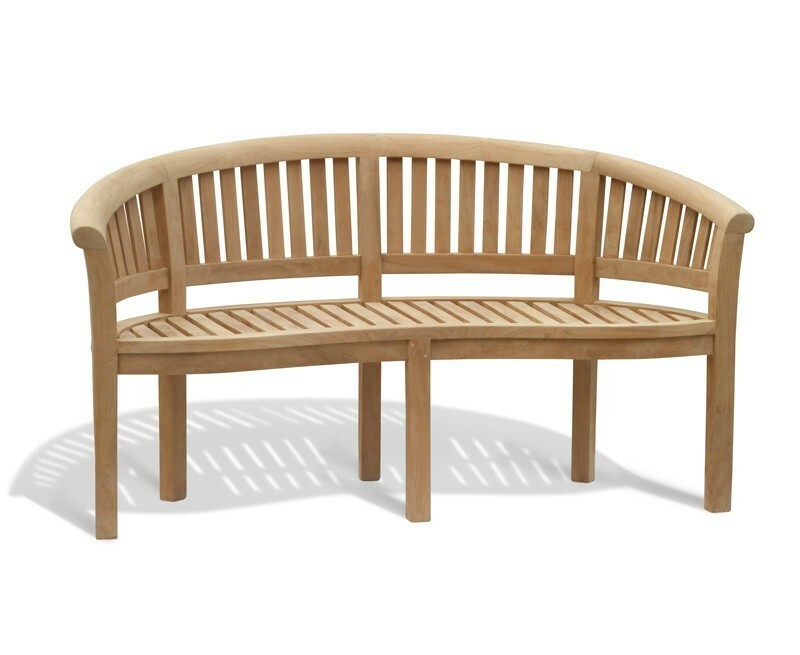 Crafted from sustainable premium teak, this coffee table set can remain outdoors all year round in all weather conditions, and requires only minimal maintenance. It is extremely hardwearing and robust, guaranteed to last for many years to come. Table requires minimal assembly, simply attach the legs to the tabletop. 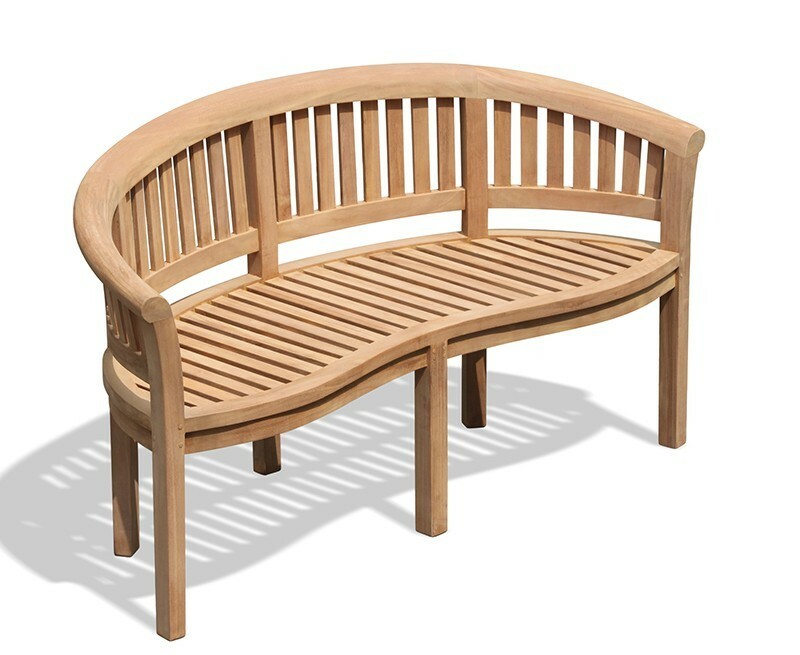 The benches will be delivered fully assembled for your immediate pleasure. Cushions are not included but they are available to purchase separately (see below).